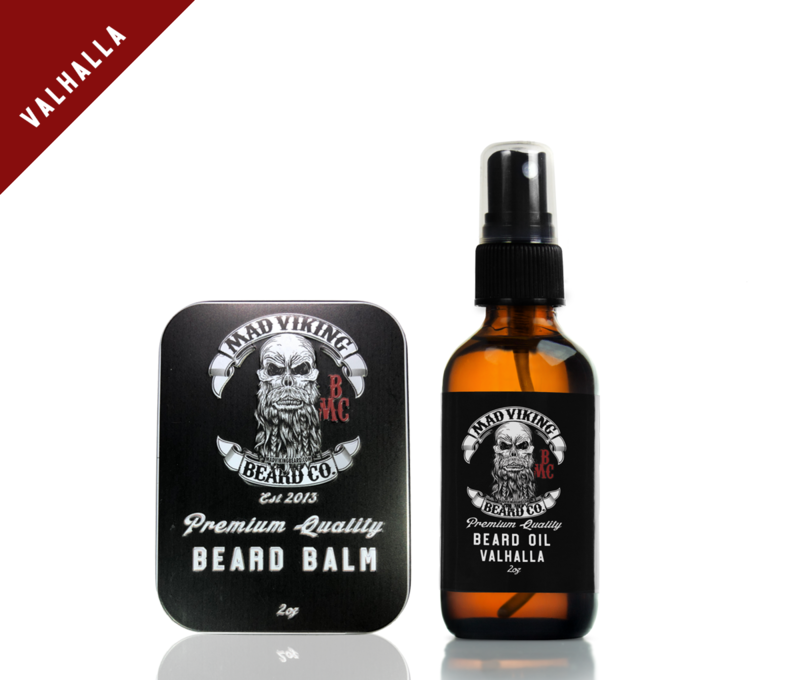 Valhalla Beard Oil & Balm Combo 2oz - Mad Viking Beard Co.
[Vall-hall-ah]: In Norse mythology, a great hall where warriors slain in battle are received. a place of glory and honor where the fallen live in bliss. 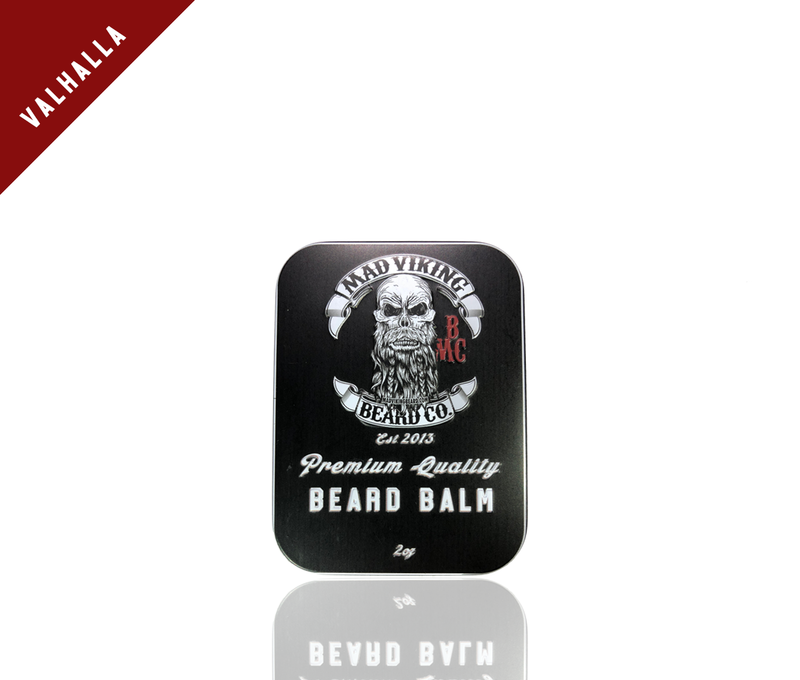 As soon as you apply Valhalla Beard Oil and Balm you will know why it earned the name. 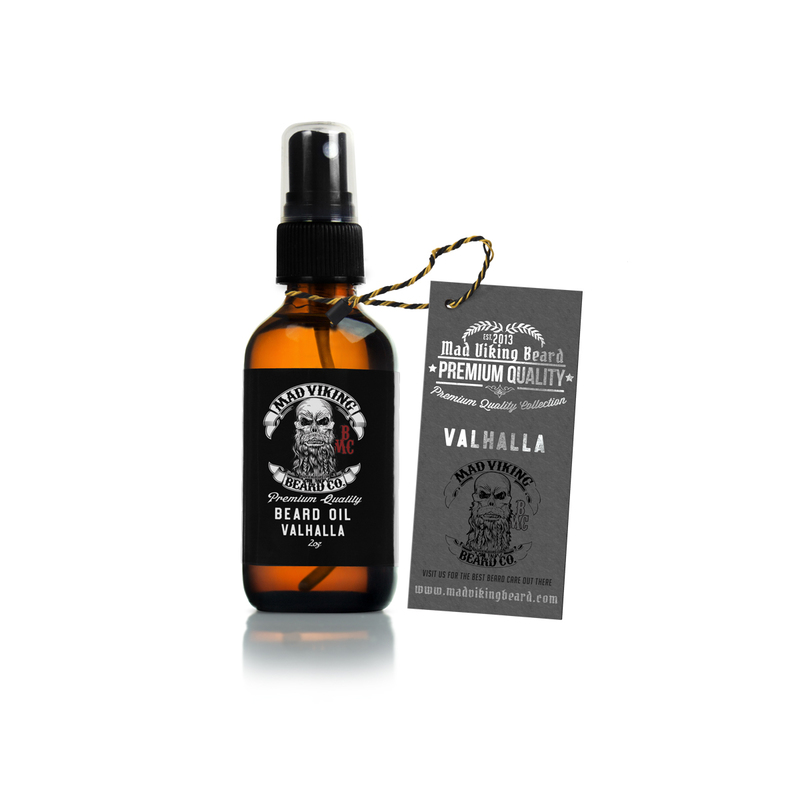 Valhalla is quickly becoming our most popular scent. The profile consists of a sweet vanilla resin layered over top a perfect sandalwood base for a smooth, subtle scent. Our Beard Oil Blends contain the following 8 nutrient rich base oils in just the right percentages to help maintain, condition, manage and promote healthy growth of your beard without looking greasy. Mad Viking Beard Oil Blends are just better for your beard. Click here for more information. Our Beard Balm Blend consists of the following nutrient rich base oils, butters and waxes to help maintain, condition, manage and promote healthy growth and provide a medium styled hold without looking greasy. Mad Viking Beard Balm Blends are just better for your beard. Click here for more information. Want more amazing?? Get the wash and complete your Lineup!